In June 2018, colleagues from the MinD team have met in Germany. Alexianer St Hedwig Hospital, Berlin, and Technische Universität Dresden, jointly hosted visiting researchers from from the UK, Russia and Italy to work on the realization of the design ideas. 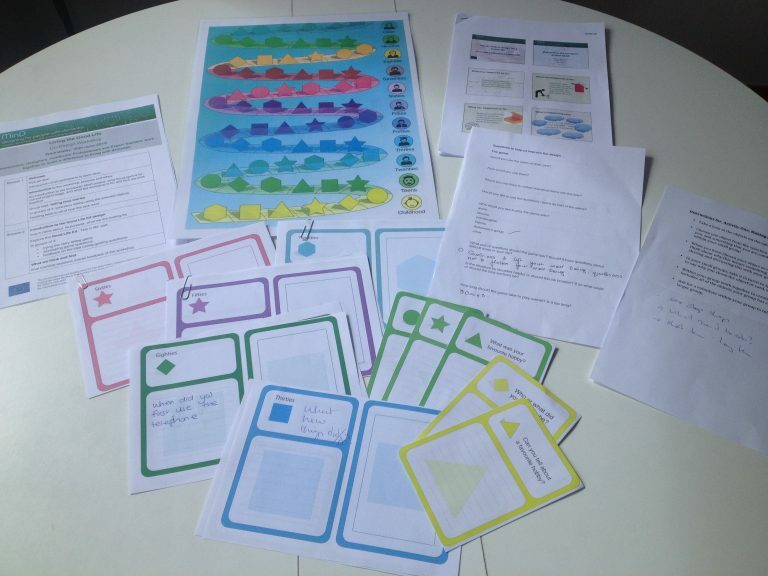 During the two weeks, the designers and progarmmers worked on the design development of the ‘Good Life Kit’ and the ‘We Connect – Social Engagment Map’. The Social Engagement Map aims to support people with dementia to stay socially connected and engaged, and in control of their social life. The Good Life Kit aims to support people with dementia in managing everyday life confidently. The design concepts had been selected in October 2017 from a shortlist with the help of people with dementia, caregivers and healthcare experts in Germany, Spain and the UK. Based on the feedback received from people with dementia on the Social Engagement Map in the previous secondment in the UK, the programmers and designers developed a flow diagramme of all the parts required, and worked on the development of the software, both for the visualization and for the functionality of the prototype. Based on feedback and discussion with staff from the Alexianer Hospital, the designers and programmers also worked on developing parts of the Good Life Kit. They created the visualization of the ‘This is me’ game, which allows people to explore their life, starting with reminiscing about the past through to thinking about the future. The design was subsequently presented to a group of people with dementia in the UK, through the Alzheimer’s Society. In the co-design session, people were able to try out the game, and to comment on and help with its design.